The Muskegon ChannelCats are proud to announce the roster for our 10U team for the 2014 season. Jason Piasecki is back for his second season as ChannelCats head coach. Why did the ChannelCats hold tryouts? The main reason is all the interest people have expressed in ChannelCats baseball. What's in store for next season? Teams will start working out inside in December or January. Each team will play in 3-4 tournaments next year. The season will wrap up around July 1st. The cost will be between $300-$500 per player. There will be an opportunity for a membership at Extra Innings for those who would like to train in the off season. We'll have instructors available for one-on-one lessons. The lessons will be included in the player fee. The ChannelCats have a track record for creative sponsorship and fundraising ideas to help offset the cost. The more baseball the better. Anyone who wants to play rec ball will have the chance to do so. How many teams will the ChannelCats field in 2014? Our focus will remain on the younger players for the foreseeable future. 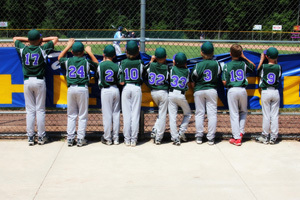 Our goal is to field teams in the 9U, 10U, 11U, 12U and 13U age groups. When will I know if my player made a ChannelCats team? The Muskegon ChannelCats are hosting player evaluation tryouts for the 2014 season. Tryouts are open to players age 9, 10, 11, 12 and 13. The player's age as of May 1, 2014 determines their eligibility for the upcoming season. Please complete the player information form prior to tryouts. Show your team spirit and support Muskegon ChannelCats baseball by getting your official T-shirts, sweatshirts and hats today! 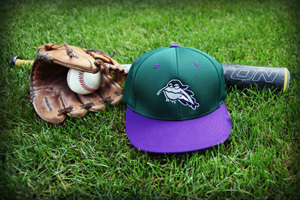 Click here to view the 2013 merchandise order form. Contact your team coach to place an order. The ChannelCats offer two sponshorship programs to support the team.